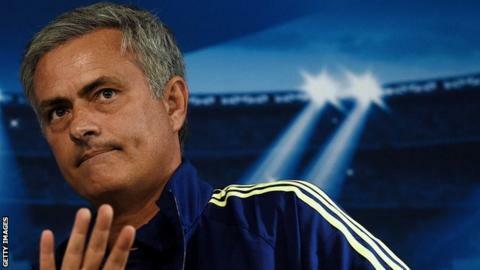 Jose Mourinho: Can Chelsea boss build a dynasty after winning title? Ordinarily a manager should be allowed to bask a little after winning the Premier League. Since Jose Mourinho is neither ordinary nor liable to lie back on his laurels, the focus shifts to his future even as the title celebrations go on. For all the successes of this past season, the one ahead might yet be the defining period in Mourinho's second spell at Chelsea. Never has he stayed at a club for more than three full seasons. Never before has the third year been quite as successful as the ones that preceded it. While a track record as good as Mourinho's renders it all relative, the challenge is there just the same. In 2006-07 his Chelsea side finished six points behind Manchester United in the league, even as they won both domestic cups; in 2012-13 his Real Madrid team ended 15 points off Barcelona in La Liga, with Borussia Dortmund ending his dreams of giving Real their 10th European crown with that crushing defeat in the Champions League semi-finals. At 52 years old, Mourinho is now the same age as Sir Alex Ferguson when the Scot won the first of his 13 league titles with United back in 1993. He will need all of that youthfulness and vigour to deal with what lies ahead. Forget for a moment the shadow of Ferguson. Mourinho's achievements the first time around at Stamford Bridge provide their own harsh light. He is already the only other manager to win consecutive top-flight titles in the past 30 years. To surpass the achievements of his first spell in west London he will have to win three in a row - and no-one but Ferguson has done that in almost 120 years of league football, not Herbert Chapman, Stan Cullis or Bob Paisley. Mourinho, who rattled through six clubs in his first decade of management, is working hard to convince the doubters that he now wants to create such a dynasty. His defining characteristics as a coach - relentless hard work, sensational man-management, an attention to critical detail on a par with Sir Dave Brailsford in cycling or Sir Clive Woodward in rugby union - make that both an alluringly novel challenge for him and within his capabilities. But it is some target to tilt at. In the past six Premier League seasons no club has successfully defended the title. And the challenges don't end there - keeping happy an owner who has not only sacked him once but also got rid of the man who finally won him the Champions League he craved, keeping his own methods and tactics fresh when he is now establishment figure rather than iconoclastic outsider, keeping his own wanderlust and boredom at bay even as his predilection for making unnecessary enemies continues apace. "He's done all the other things - the Italian thing, the Madrid thing - and he's too young for international football," says Pat Nevin, former Chelsea winger and still close to those who run the club. "That's why he likes the idea of a dynasty. Manchester United as an option has gone away, Manchester City has slipped by too. "He's achieved success quickly at clubs. But to give clubs five, six or seven years? That's what he is looking at. And it won't be a massive job for him to keep this thing going. He has won the league with a team that isn't yet the finished article, and he knows exactly what he needs to add to take it there." Sometimes Mourinho has dictated his own career path, as when moving upwards from Porto and then Inter Milan. At other times his flammable combination of personality cult and conspiracy theory has cost him control. Creating a siege mentality may make you hard to defeat. It can also leave you isolated and alone. Calling Arsene Wenger a specialist in failure might amuse some and satisfy the pedants. The Frenchman is, unarguably, winless in 13 meetings with Mourinho teams. Arsenal have failed to score against Chelsea in more than eight hours of football. Referees have also made errors against his side this season. But blaming draws at Burnley and Southampton on referees Martin Atkinson and Anthony Taylor and castigating Phil Dowd for the 5-3 defeat at Spurs is neither accurate nor attractive. Ferguson, of course, frequently employed the same tactics. It also allows Mourinho to protect his own players, in public at least. And it has worked. If at other clubs it arguably tarnished his achievements, at Chelsea - for now at least - the allies outnumber the detractors. "He's somewhere where he is loved," says Nevin. "He gets annoyed with the press and referees. But with the club he's good. He thinks, where have I enjoyed it the most? Where do I feel at home? "He's not a stupid man. He thinks, I could end up like Rafa Benitez, as a very well-paid gun for hire who changes job every season. Or I could leave a real legacy." Mourinho, ever the pragmatist with his tactics, knows too that there are burned bridges smouldering in his wake. He cannot go back to Madrid and will never be given the chance at Barcelona. Germany? Only Bayern Munich are big enough to satisfy him, and arch-rival Pep Guardiola is stamping his mark all over that one. Chelsea has to work. His critics might argue that he is yet to prove that he can win titles playing attractive attacking football. They might also point out that styles of management and play can fall rapidly from fashion. Very few can carry success through different eras and paradigms. To which Mourinho can point to eight league championships won in four countries. Boring? In his first spell, Chelsea broke the record for the most points ever won in the Premier League. This time they have led from start to finish. Neither does he believe he can be stereotyped by one style of football, arguing his approach is dictated by his players, their maturity, the opposition and the occasion. A poor record for promoting young homegrown talent, at a club that has invested an enormous amount in its academy set-up? Pah. He couldn't care less, not with the mature talent he has in his first-team squad. "You don't often get an opportunity like he has at Chelsea just now," says Nevin. "At some point he'll need to replace John Terry, but Kurt Zouma looks tailor-made for that. "The one position he's short in is a right-sided attacking midfielder. He's got Willian in there at the moment, and Ramires sometimes. But when you look at the really top teams, they had options - Bayern with Robben and Ribery who could play both sides, Madrid with Bale and Ronaldo. "If Mourinho can find someone who can create as much havoc as Eden Hazard does on the other side, they're almost finished. "The goalkeeper's good for 10 years. Zouma gives you cover everywhere in the back and in the Matic defensive midfielder role too. A centre-forward to cover is required, but that's easy to find." And then there is Abramovich, kicking open the trapdoor under a manager 10 times in a decade. Winning the Double could not save Carlo Ancelotti, nor the Champions League Roberto Di Matteo. Isn't it just a question of when these two fall out again, rather than if? "We all grow, we all change," says Nevin. "Roman looks at this more defensive style of play that Jose brought in during the last third of the season and thinks, that's hugely intelligent. "Because if they had kept on playing that more open way, they wouldn't have won the league. They didn't have enough fit players at the top of their game to do anything but throw it away. "Roman is learning football. He knows his stuff now. He is more interested in the intricacies of it. How come everyone can't play like that? How come in half the games you've played this season you haven't lost a goal? That's not luck. "He doesn't like to give much away. But I've gauged his reaction at some of the games recently which have been great defensive performances, and he's loved it. At the end of the game he has been celebrating as much as anyone else."